The Valley may soon add one more festival to an already full roster that includes the Crested Butte Arts Festival, the Crested Butte Music Festival, Crested Butte Bike Week, the Wildflower Festival, and the Mt. Crested Butte Chili and Beer Festival—to name only a few. The potential new contender on the circuit, the Crested Butte Comedy Festival, would annually bring some of the biggest names in comedy to the Gunnison/Crested Butte area for four days in mid-June. Think names like Chris Rock, Margaret Cho, and Kevin Nealon. Fitzpatrick said the Comedy Festival organizers are heavily tied into major network television stations such as HBO and Showtime. He said one of the producers’ primary goals of the festival would be to create several television specials to be aired nationally, showing not only the comedy acts, but also the culture and geography of the Gunnison Valley. One of the festival’s organizers, Dan Forbes, spoke to Fitzpatrick and other leaders from the community at a small gathering hosted by the Gunnison-Crested Butte Tourism Association last week. Forbes has more than 20 years of experience producing music and comedy specials, and was behind shows such as Garth in Central Park and Whitney Houston live from South Africa. According to Fitzpatrick, Forbes and the other organizers anticipate the festival bringing 2,500 to 3,000 unique attendees into the area each day. Then Fitzpatrick posed a question to the council: Is this something Mt. 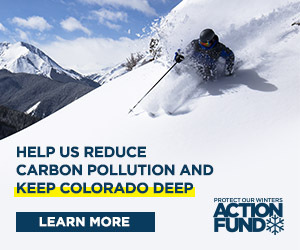 Crested Butte would support? “It’s a good time of year for something,” responded councilperson Janet Farmer. Farmer then asked Fitzpatrick if he saw any downside to the festival and if the airport would be open and able to provide service for attendees. With that, the council agreed unanimously to lend their support to the festival organizers. The Mt. CB council will discuss writing a formal letter of support for the comedy festival at its August 1 meeting.